Paul has a broad range of experience in geotechnical engineering and engineering geology that spans civil and mining. He studied geology (UNSW) and civil geotechnical engineering (UNSW). Initially, working for Douglas Partners for 11 years on a variety of civil and mine infrastructure projects in Australia, PNG and Fiji, he went to the Ok Tedi mine in PNG for 5 years. Here, he became the Geotechnical Superintendent and the Registered Mine Manager. A stint in research at CSIRO followed, where he led the Sirovison and, Mine Site Rehabilitation Research projects. This was followed by a year with an auger mining contractor. 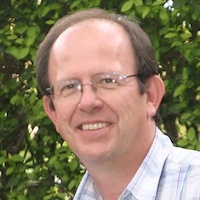 He established GeoTek Solutions in 1999. Most of his work has been to do with open cut coal and metalliferous mines throughout Australasia and beyond. Paul is a corporate member of the AusIMM and The Instituion of Engineers in Australia, a CPEng and RPEQ.